GLASGOW — A group of seventh- and eighth-grade students at Christ the Teacher School have spent the past few months taking an elective that has given them an opportunity to learn about their counterparts in an African nation while mixing in science, technology and sociology. The class, which wrapped up earlier this week, matched the 16 students with boys and girls in Zimbabwe. 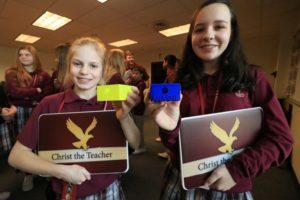 It included video exchanges and a Skype session, and the Delaware students made solar flashlights to send to Zimbabwe. Christ the Teacher administrators learned of the Level Up Village global inventors program last year while in St. Louis for the National Catholic Education Association convention. 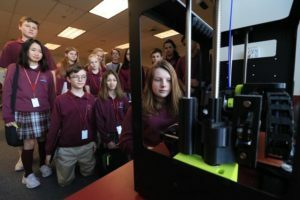 Assistant principal Stephen Adams said Level Up was offering approximately a dozen courses, but the global inventors was the most interesting. 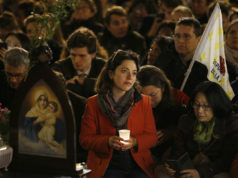 The school, he said, wanted to beef up its programs of global competency, he said. There are a lot of service projects, and this one adds a technology component, Adams said. This elective will also help these youngsters when they are adults and have to work with people who are different from them. “If they can gain these skills as a young adult, then they’re going to be able to bring them into the world. They’ll have those skills to work with others. If we can build those skills now in the foundational years here at Christ the Teacher, then we know that they can go further,” he said. Rasheeda Skinner was the teacher tapped to lead the class. She said the first step was to explain what global competency is. The students learned about cultural differences as well as socio-economic ones. The science part of the project involved making the solar flashlights using a 3D printer the school purchased last summer. Abbie said they come in handy because their Zimbabwean counterparts have limited electricity and other resources. That doesn’t stop the African children from wanting to help others. 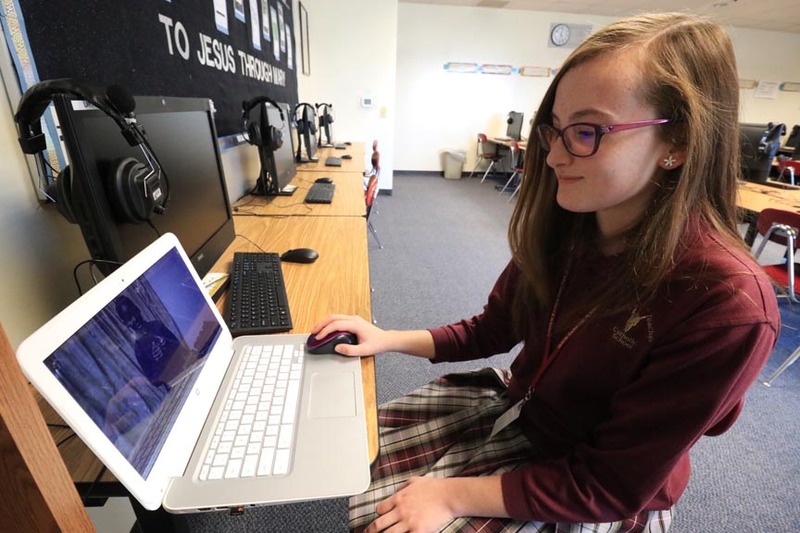 Eighth-grade student Majo James was partnered with a student who has other people at heart. “My partner wanted to send the flashlight to kids in orphanages because she knew those kids were suffering. When I asked her what she wanted to be when she grows up, she was very ambitious. She wanted to be president. Lots of stuff that we would want,” Majo said. Adams said Christ the Teacher has accomplished what it set out to do when it began this venture. 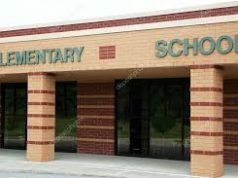 For more information about Christ the Teacher Catholic School, visit http://www.cttcs.org/cttcs/.